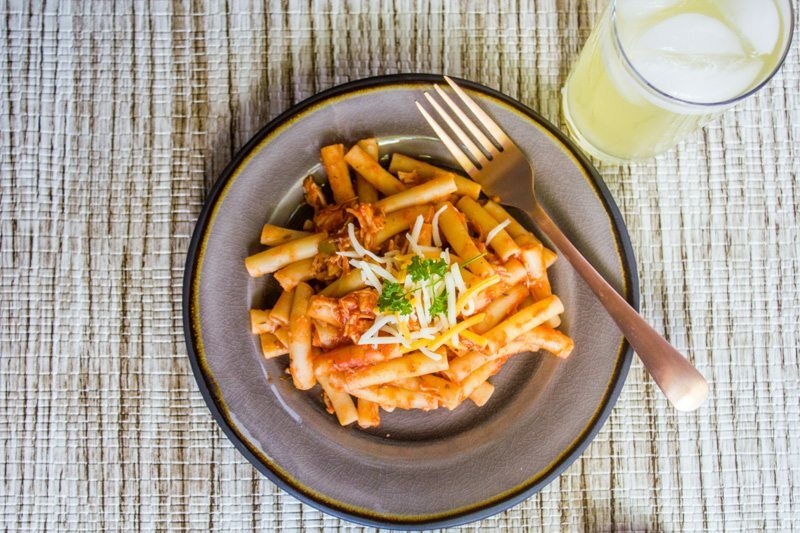 Spicy, tomato based Southwestern Spicy Chicken Ziti Pasta is a super easy meal for a busy weeknight. Feed your family this delicious pasta, and it will be on the table in about 20 minutes. Looking for a quick and easy weeknight recipe so you can get dinner on the table and still spend time with your family on those crazy, busy days? 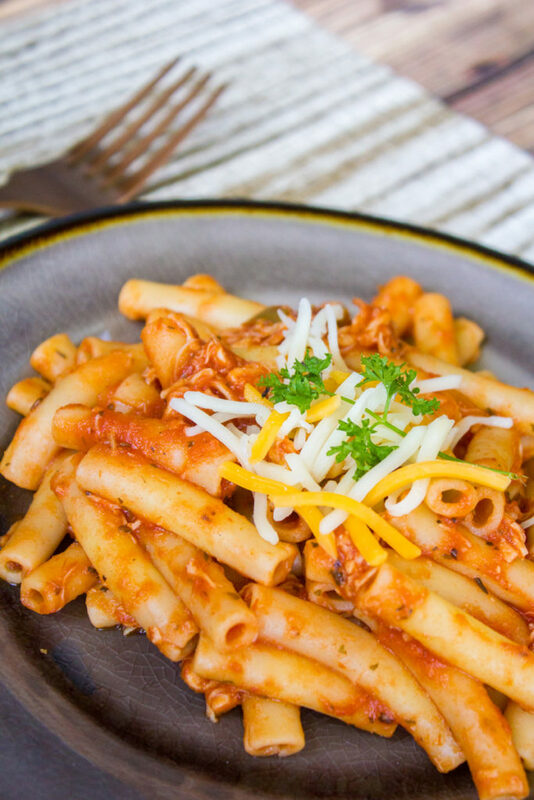 This Southwestern Spicy Chicken Pasta is perfect and your whole family will love it. 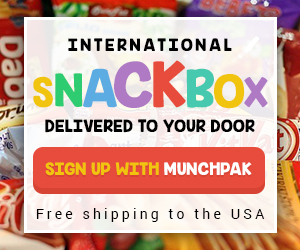 The best part is, you can make it to fit your family and their tastes! What’s better than that? 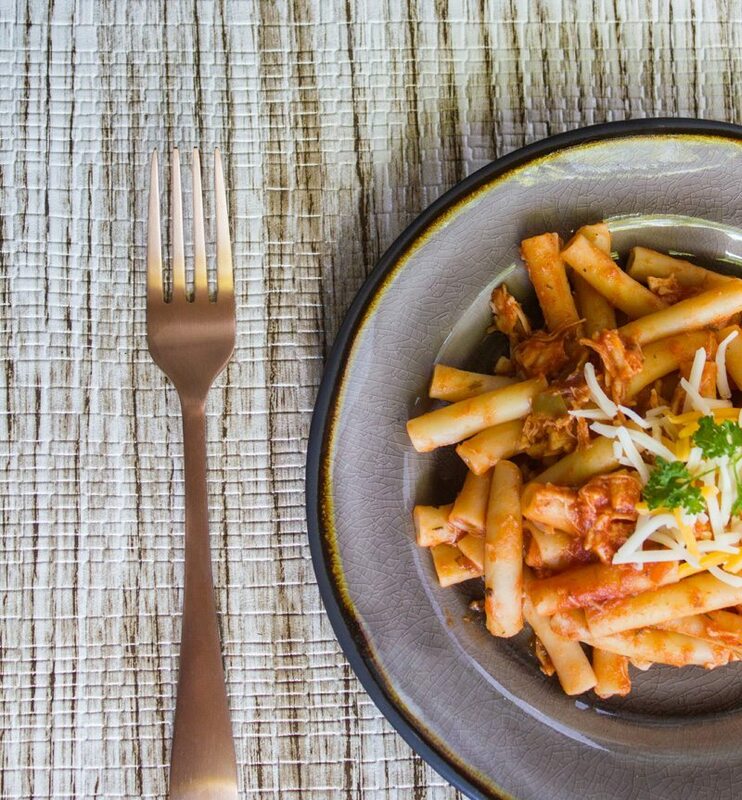 It all starts with a quick run to Walmart where you can get everything you need to make this Easy Southwestern Spicy Chicken Ziti Pasta. And all you need is 6 simple ingredients and you’re on your way to an easy weeknight meal that you can make over and over again. 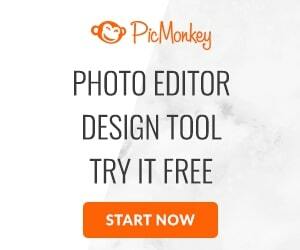 Simply click on the items in the photo, and you can purchase them right now! It’s that easy! So what do you need? Of course you will need a box of Ziti pasta, any brand. You can choose another type of noodle if you like, but then it wouldn’t be Southwestern Spicy Chicken Ziti Pasta, now would it? *grin* After you grab your pasta, the sauce should be right next to it at Walmart. 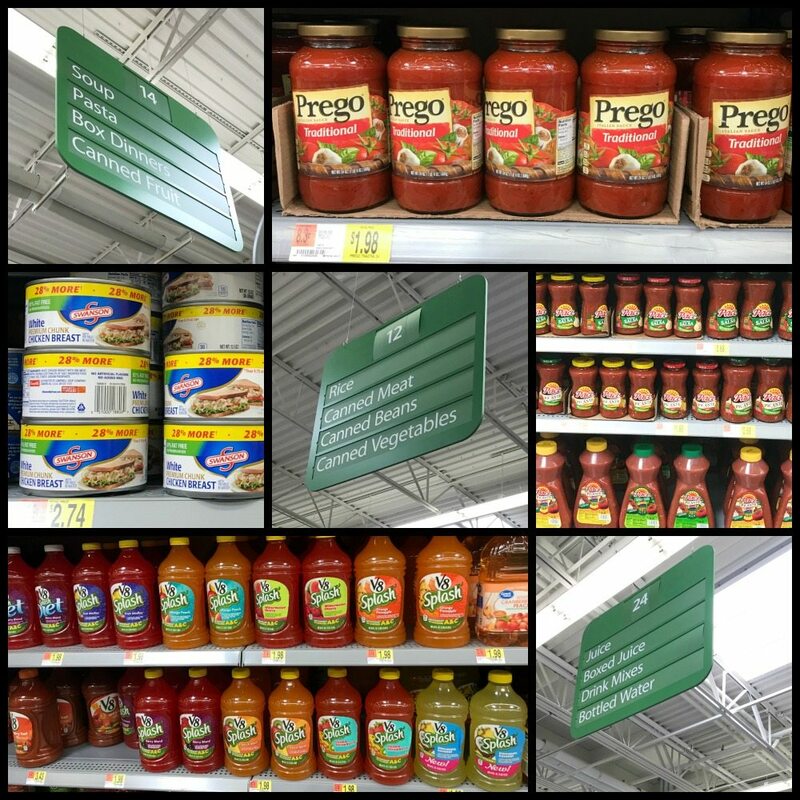 I chose Prego® Traditional Italian Sauce because it tastes homemade, is made with real ingredients and has the perfect rich flavor and thickness I want in this recipe. Next is time to head over and get the “spicy” part of this dish. At my Walmart, it’s in the rice aisle, which also houses a bunch of other items. I headed straight for the Pace® sauces. You can choose either a salsa or a picante. And you can choose the heat you desire. I chose a chunky salsa to give the pasta a little more texture and I chose Pace® Hot Chunky Salsa in particular, because I wanted the genuine southwest flavor combined with the exact kick I wanted this spicy version to have. I love using Pace® for the incredible flavor it infuses, that it’s made with handpicked vegetables and the versatility of using it beyond my pasta dish as an additional ingredient to another meal, a condiment on something or to dip with some chips. We use it all! Off to another aisle to grab Swanson® Premium Chicken. At my Walmart, it’s with the Canned Meat. I use Swanson® Premium Chicken because it’s already cooked, which helps this dish come together in less than 15 minutes. 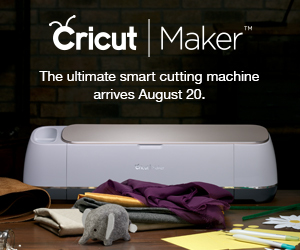 I love that it’s and ready to use for quick and everyday meals. Last stop, the drink aisle, because my family LOVES V8 Splash® and it comes in so many indulgent flavor blends! I grabbed a couple, but you can just pick one. *grin* I love treating my family to V8 Splash® because it’s a choice I feel good about that comes in a variety of fruity flavors, made with real fruit and vegetables. If you want to kick your dish up a notch from basic to something a little more special, feel free to pick up a Mexican blend of shredded cheese, cilantro or parsley, minced garlic or anything else you’d like to add. Once you get all your ingredients home, it’s time to set to work making this easy pasta. You can pull this dish together in only 15 minutes making it the perfect gateway to a quick and easy meal! Get that water boiling and boil your pasta according to package directions. In a saucepan over medium heat, heat the Swanson® Premium Chicken and Pace® Hot Chunky Salsa together. If you wish to add garlic or herbs, go ahead and toss them in at this time. Heat for about 5 minutes. Doesn’t take long to heat at all. Add your Prego® Traditional Italian Sauce and continue heating for another 5 minutes or until it’s all hot. Once your pasta is cooked, drain and return to pot. Add the sauce and some shredded cheese and stir. Serve immediately with a delicious glass of V8 Splash®. 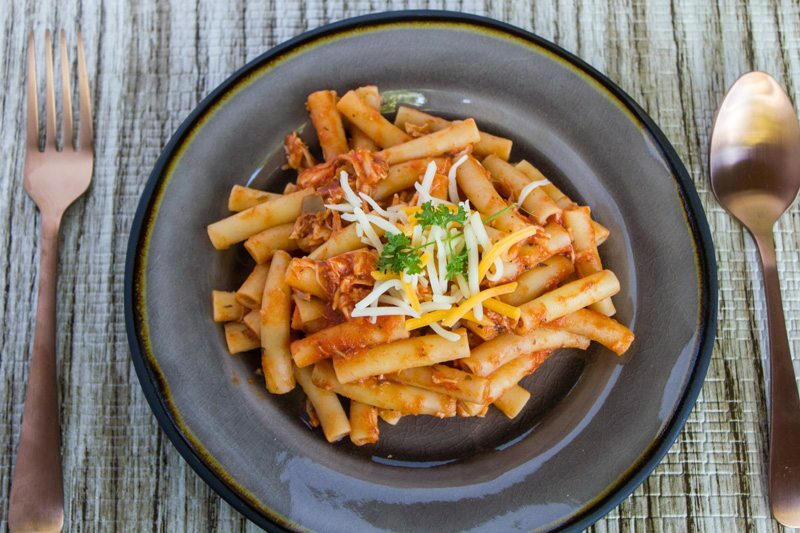 Are you ready to make this Southwestern Spicy Chicken Ziti Pasta? Spicy, savory tomato based pasta with chicken and cheese for an easy weeknight dinner that packs loads of flavor! Get that water boiling and boil your pasta according to package directions. In a saucepan over medium heat, heat the Swanson® Premium Chicken and Pace® Hot Chunky Salsa together. If you wish to add garlic or herbs, go ahead and toss them in at this time. Heat for about 5 minutes. 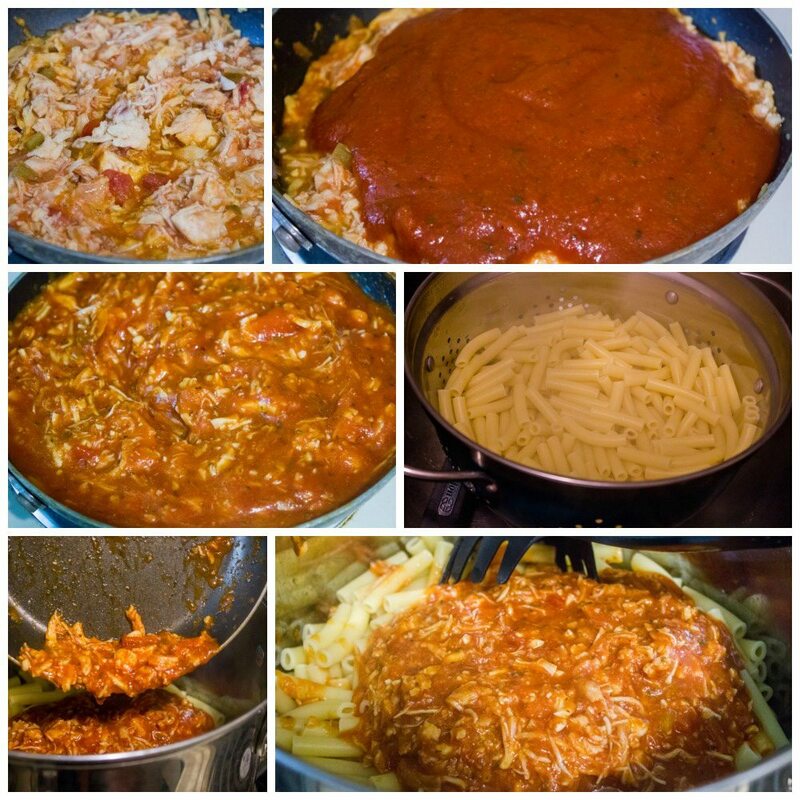 Add your Prego® Traditional Italian Sauce and continue heating for another 5 minutes or until it’s all hot. Once your pasta is cooked, drain and return to pot. Add the sauce and some shredded cheese and stir. Serve immediately with a delicious glass of V8 Splash®.